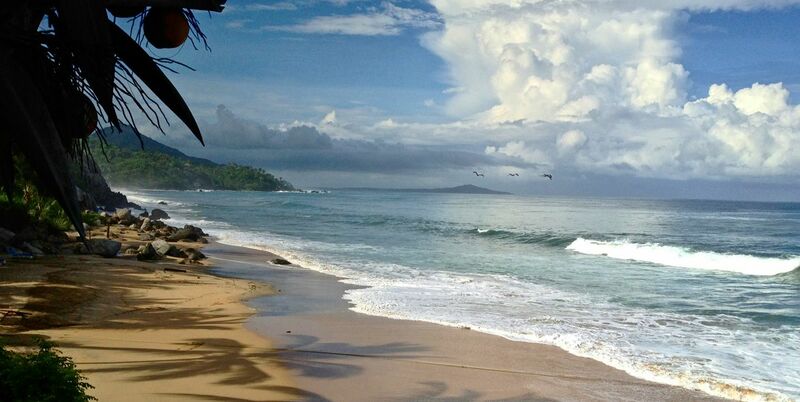 Playa Escondida, a secluded resort, nested in a beachfront setting surrounded by hills covered with jungle. 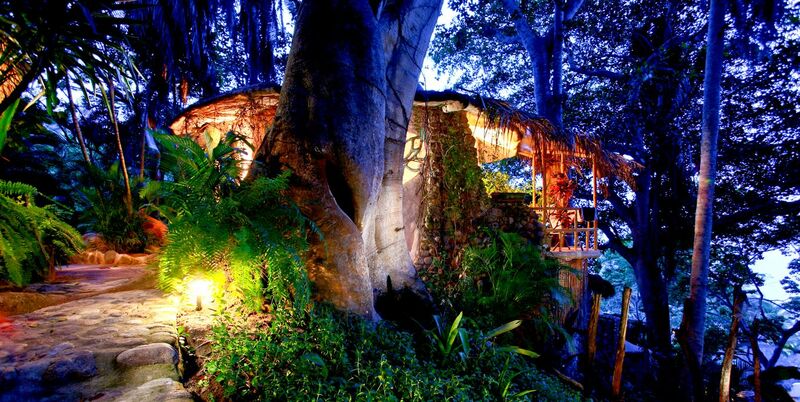 Close to nature, yet safe and comfortable; clean air, private beach, beautiful rooms, relaxing ambience. 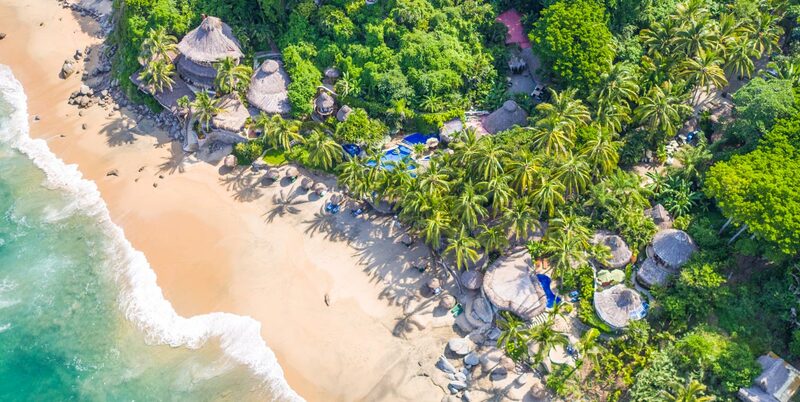 Playa Escondida is located 40 minutes from Puerto Vallarta International Airport on the Pacific Coast of Nayarit, known as Riviera Nayarit. 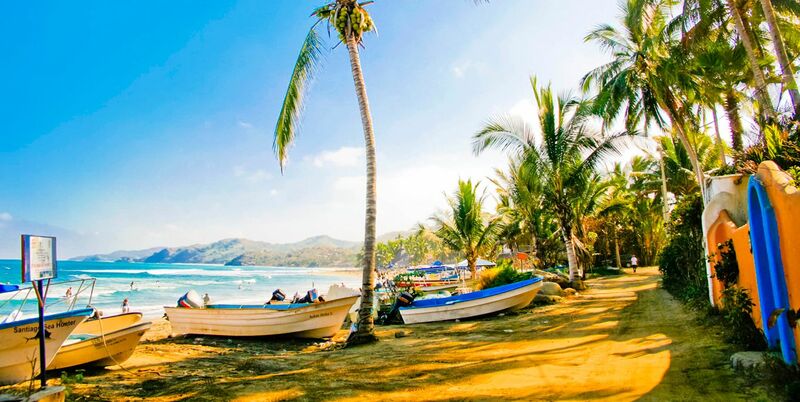 We are about 1 mile from the town of Sayulita. A link with specific directions to Playa Escondida will be sent to you when your reservation is confirmed. for your convenience we have a 24 hour Reception/Front Desk. We accept only a limited number of children, and, then, only if the parents accept all risks and can assure us that the child will be well supervised. Although we have more children during certain holidays, we are primarily designed as a rest and relaxation resort. We love children but we feel it is best for most of our guests to have the opportunity to relax in an ambience relatively free of toddlers and energetic youngsters; therefore, no water toys or any kind of inflatables are allowed in the pools (for children or adults) and children are only allowed in the pools until 30 minutes before sunset and never in the jacuzzis or spa area. There is a free WiFi in the restaurant, the Terraza, the Beach Bar as well as in Bird Canyon, Beachfront and Oceanview rooms. GSM cell phones generally work in the pool-spa area and on the Luna and Sol decks depending on your carrier (AT&T currently out of range). Telephones are available at Guest Services for a nominal charge. We do our best to maintain a clean and healthy water supply but please use the furnished bottled water for drinking and brushing your teeth. Our septic system can only handle a minimum of toilet paper. Most rooms are furnished with hand bidets for better hygiene and less paper usage. Please dispose of any other waste in the wastebaskets (or you may find your toilet clogged in the night when there is no one to fix it!). A small safe is available in each unit. We don't recommend cooking while on vacation, however, if you are an avid cook and want to prepare some meals, you'll find that the kitchens are equipped adequately for vacation cooking, but not for gourmet cuisine. You will find almost anything you need at the local grocery stores in Sayulita so it is not worth buying a lot of groceries at WalMart in Puerto Vallarta. Food in the houses will certainly attract local wild animals, especially the coatimundi. They will come at night and ransack your kitchen if you have food. The worst is they will keep you up at night as they move around pots and pans looking for the food they smell. They are not dangerous at all but they are a nuisance so be forewarned! There is always someone onsite to assist you. The Sayulita Medical Clinic is ok for minor first aid. 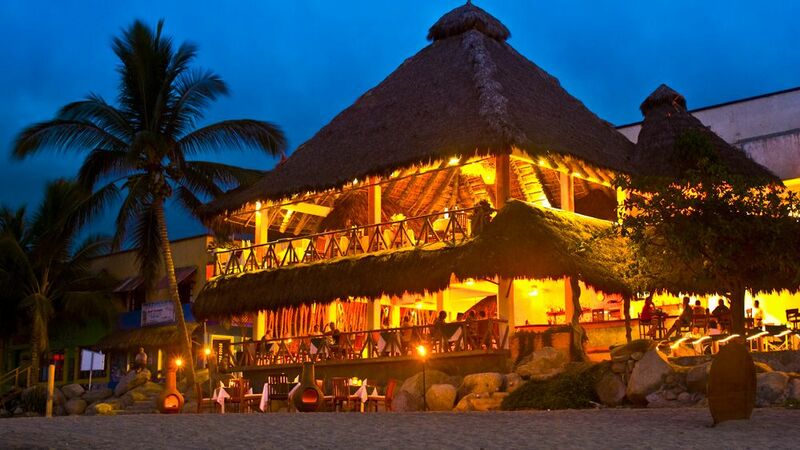 Sayulita Emergency Services is open 24 hours. There is a village hospital in San Pancho (San Francisco), five kilometers north on the main Puerto Vallarta-Tepic highway (HWY Mex 200). Better yet, the excellent, private Clinica Santa Rosa in Bucerias 20 minutes away. For a modern first-class hospital you need to go to Puerto Vallarta (40-50 minutes) to the AmeriMed Hospital located just past the airport on the left side of the highway in front of the Plaza Marina shopping center. The beach itself covers over 350 feet of coastline, and faces almost directly west, so the sunsets are often spectacular. Depending on the time of year, the ocean swells can bring large waves crashing onto the shore. Other times, you know why they named the ocean "Pacific". The beach is a continually changing artwork of nature; tons of sand shift, colors change, the surf's powerful brush painting beautiful figures with swathes of glistening pure black iron on a background of golden beige, every day on a fresh, new canvas of beachfront. If you are an ocean savvy person who understands open ocean swells and surf then you already have plenty of respect for the sea. 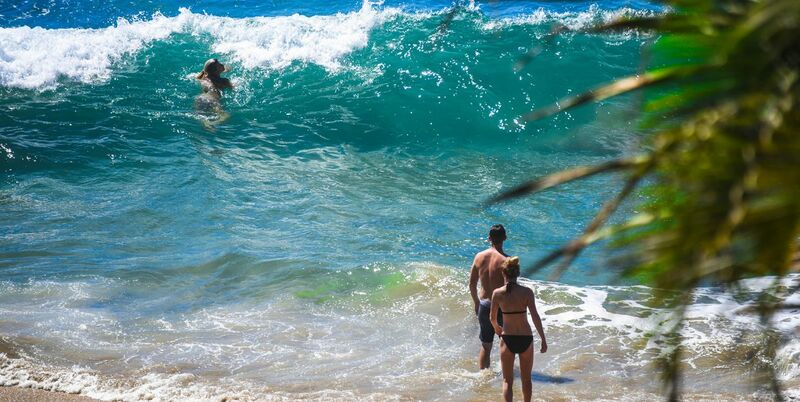 If you are an average swimmer with no ocean experience you should stay close to the shore unless the water is calm. When it is calm anyone can swim and snorkel among the large rocks and enjoy themselves with no danger. However, if there are large swells you must be very careful as the ocean can be very dangerous for the inexperienced average swimmer. See some things wandering around? Heard the bushes rattling, or odd sounds in the night? Sometimes it's good if things are explained to put your mind to rest. 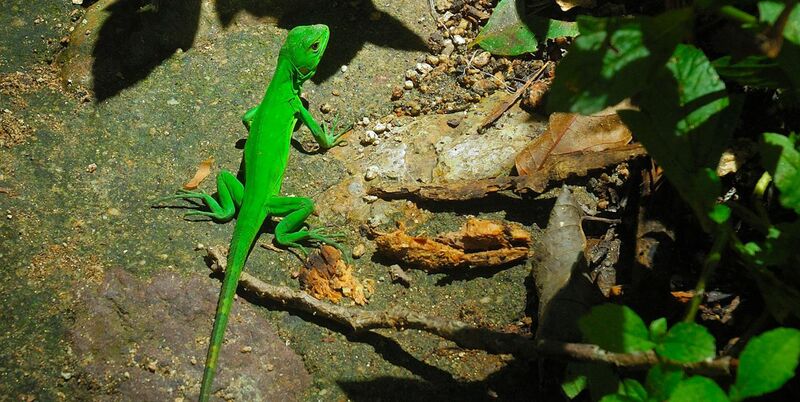 There are no dangerous animals but we are in the middle of an ecological system of which wild animals are part. 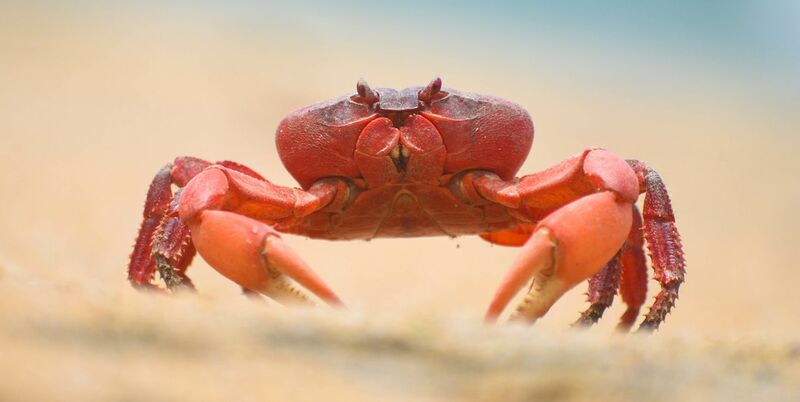 In early summer land crabs migrate. The largest animal you'll most likely see is the coatimundi though there are pumas in the nearby mountains. "Monkey" mountain, which you see when you look south from Playa Escondida, is a spiritual ground for the Huichol natives. The Huichols are descendants of the Aztecs and are related to their Uto-Aztecan speaking cousin, the Hopi of Arizona. 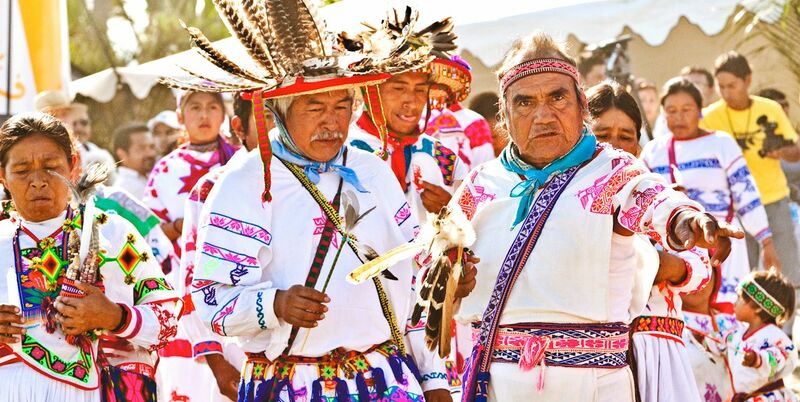 Living mostly in the states of Nayarit and Jalisco they still practice their peyote ceremonies as in ancient times. 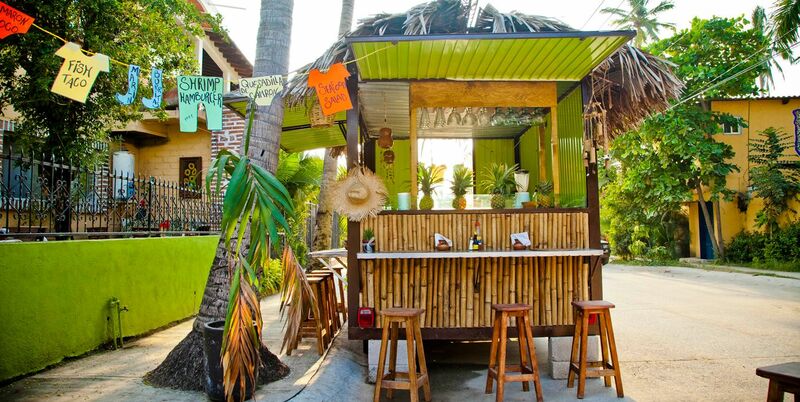 They usually sell their artwork and craftsmanship in Sayulita near the town plaza. Early summer is the migration and reproduction season for the land crabs which are an important part of the ecological system of Playa Escondida. If you are here during one of the days when they march en masse toward the beach you'll witness an unforgettable spectacle of nature.